Hispanic Urban Studies is a series of scholarly monographs, edited volumes, and translations focusing on Spanish, Latin American and US Latino urban culture. The humanities and the social sciences are closer in methodology than ever before. Hispanic Urban Studies serves a dual purpose: to introduce radically original humanities work to social science researchers while affirming the relevance of cultural production to discussions of the urban. This book series takes advantage of and further contributes to exciting interdisciplinary discussions between Hispanic Studies and Cultural Geography with the aim of bringing in new ideas about space, place, and culture from all parts of the Hispanic world. Monograph titles bring together analyses of the cultural production of the Hispanic world with urban and spatial theory from a range of disciplinary contexts. The series also welcomes proposals for edited volumes related to cities that contribute in creative ways to our understanding of the spatial turn in Hispanic Studies. Translations published in the series introduce English-language readers to the rich legacy of materials on urbanism, urban culture, and cultural geography originally published in Spanish. Malcolm Compitello, University of Arizona, USA; Monica Degen, Brunel University, London, UK; Cecilia Enjuto Rangel, University of Oregon, USA; Amanda Holmes, McGill University, Canada; Marcy Schwartz, Rutgers University, USA; Álvaro Sevilla Buitrago, Polytechnic University of Madrid, Spain; Armando Silva, National University of Colombia, Bogotá; Michael Ugarte, University of Missouri, Columbia, USA; Víctor Valle, California Polytechnic State University, USA. In recent decades the map has emerged as a key site of cultural and imaginative reworking, and yet the history of such symbolic mediations between humans and their spatial environment is also ancient and complex. Volume 52.1 of ELN (Spring/Summer 2014) will investigate “Imaginary Cartographies” across centuries and cultural contexts to explore a range of these symbolic mediations. The term intends to include those methods of mapping literary space that generate both imaginative and culturally revealing understandings of recognizable and/or created worlds and their modes of habitation. “Imaginary Cartographies” refers to actual as well as purely conceptual forms of mapping, and includes spaces of considerable variability: from the mapping of cosmic, global, or local space, to charting the spaces of the body or the page. Geographers have argued that the social history of maps, unlike that of literature, art, or music, has few genuinely popular, or subversive modes of expression because maps pre-eminently are a language of power, not of protest; in this view, the map remains a site of territorial knowledge and state power, authority and jurisdiction, social codes and spatial disciplines—one intent upon eliding its tactile and material conditions of production. “Imaginary Cartographies” welcomes approaches to mapping that complicate this account by considering subaltern or alternative cartographies—cartographies that elude, interrupt, or disperse forms of power, or serve not-yet-imagined spectrums of interests. In times of financial and economic crisis, cities have become sites of austerity measures, permanent fiscal restraint, declining tax revenues, bankruptcies and ever increasing cuts to public services. In order to ‘save the city’, Jamie Peck argues that the imperative to ‘cut back and save’ and ‘work your way out of debt’ results in urban policies such as structural adjustment, privatization, public-private partnerships, and welfare retrenchments (Peck, 2012). While existing institutional arrangements, collectivist, social-state based ideals and redistributive systems are diminishing, there has been a proliferation of collectively organized urban practices. In light of these developments, urban dwellers are working creatively with urban scarcity to develop new forms of organizing the city parallel and/or in contrast to centralized, state-based infrastructure, and are forced to do so with a low budget. These include collectively organized urban survival strategies such as car sharing as opposed to car ownership, traveling using online hospitality networks (e.g. CouchSurfing) instead of hotel accommodation (Bialski, 2012; Rosen et. al., 2011), second-hand shopping, cloth swapping and ‘dumpster diving’ versus mass consumption and throwaway culture (Gregson and Crewe, 2003), or, DIY-building rather than ready-made (Brodersen, 2003; Drotschmann, 2010). Other examples include urban farming and cooperative gardening (Schmelzkopf, 1995), local currency systems (Hughes, 2005), transport ticket sharing, house squatting (Neuwirth, 2005), up-cycling of sewage and trash, and other forms of re-using and re-valuing urban resources. As the city is made up of multiple forms of organizing, forming an alternative, low-budget solution often means moving away from the more centralized and top-down forms of urban organization into the decentralized and local. As place of anonymous cohabitation and social diversity (Simmel, 1903), as a sphere of capitalist reproduction and collective consumption (Castells, 1974), via the imaginarios urbanos (García Canclini, 1996), to the “Rebel Cities” (Harvey, 2012), the city has evoked systematic analysis of the tight linkages between public space and collective culture, the effects of capital accumulation, and social discontent. 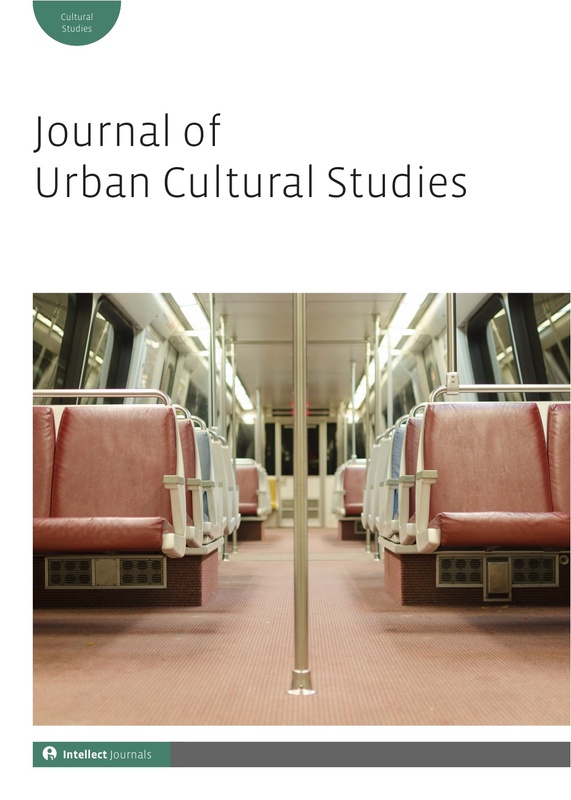 Moving beyond a broad range of questions which have been (or can be) studied in urban environments by the social, cultural as well as natural sciences, CROLAR IV calls for reviews on the particularity of “the urban” itself. Which phenomena constitute “the urban” as a field of study and how are urban areas studied differently from (or even in a dialectical relation to) rural areas? Many urban theories have claimed to have universal applicability independent of the location they were built from, or where they are applied. Our more specific interest lies in publications which reflect on such dichotomization – either by compiling and comparing research results from diverse locations, or by discussing limits to travelling concepts (Said). It is well known that Latin America is not only the most urbanized continent and the one with the highest inequality in incomes, but that it also offers a long interdisciplinary tradition of urban studies. We therefore also call for reviews which mirror the rich contribution of Latin American urban research to a general understanding of issues such as violence, migration, citizenship, protest, ecology, spatial segregation, or the financial crisis, amongst others. With respect to “the urban”, what can and has been learned from Latin America?